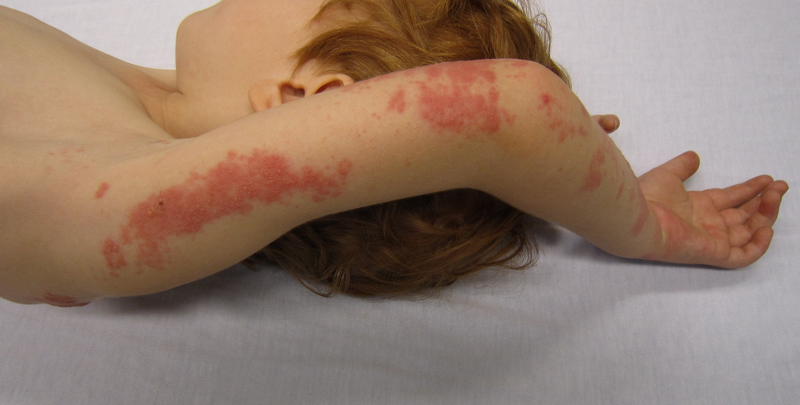 Many common medical conditions can cause a viral skin rash in toddlers. These illnesses range from benign to serious. Since many rashes look similar, it can be challenging to identify the root cause. This article takes a look common rashes and explains how to identify them and what you can do to prevent them. The appearance of a rash on your infant or toddler may be upsetting but typically this isn’t cause for alarm. In many cases, the illnesses that cause these skin conditions are non-permanent and go away on their own. That said, there are other diseases with the same symptoms that merit concern. Typically, toddlers who have viral rashes exhibit signs like red flat areas, raised bumps, blisters, or welts, or a combination of these symptoms. They usually last about a week and can spread across the entire body. Symptoms of a viral rash include fever, Petechiae (red dots on the skin that do not fade with pressure), vomiting, and trouble breathing. These symptoms require immediate medical attention, as they can be signs of a serious condition. Since allergies are the most common cause of skin rashes, most rashes can be prevented by avoiding allergens. Viral rashes that are contagious can be prevented by limiting exposure to irritants, practicing thorough hand washing techniques, and avoiding the use of shared items like clothing, toothbrushes, and cups. Some viral rashes that were once common in toddlers, like measles, mumps and rubella, can be prevented with vaccinations. The chances of a vaccinated child catching these diseases are very low. Rashes usually go away on their own, and common treatment focuses on the cause, not the rash itself. If toddlers show symptoms of the more serious issues listed above, consult a medical professional. 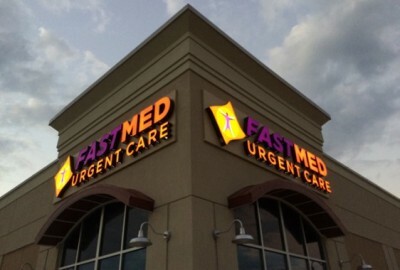 FastMed offers high-quality care without the long wait times typically associated with the emergency room. Our offices offer extended weekday and weekend hours, making us the convenient choice for non-emergency treatment. We accept most major insurance, including Medicaid and Medicare. Most importantly, our medical professionals are friendly and compassionate. But don’t just take our word for it! Read more patient reviews of FastMed, Like us on Facebook, or find a FastMed near you!